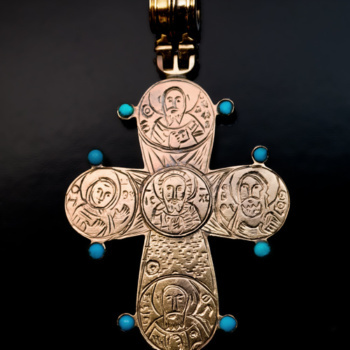 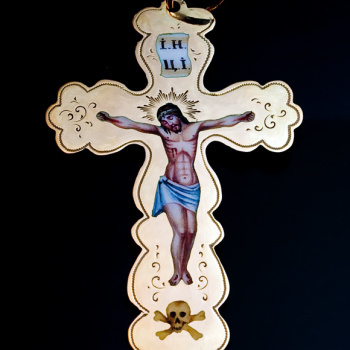 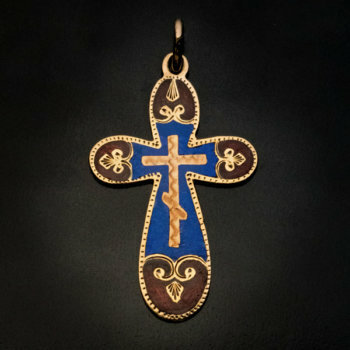 A rare Russian 18K gold cross pendant with hand engraved decorations. 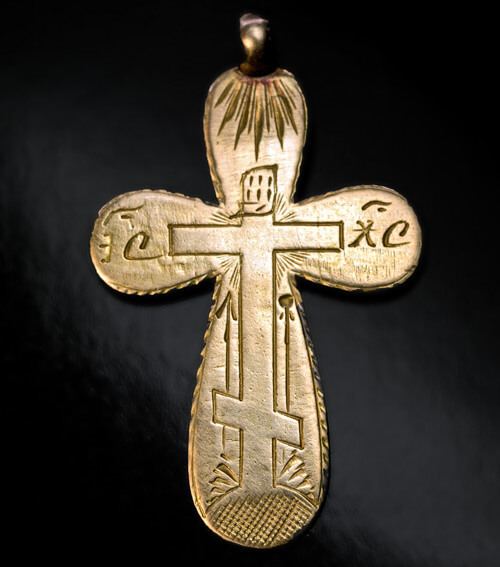 The front is engraved with Russian / Greek Orthodox cross with the spear and sponge of the Crucifixion. 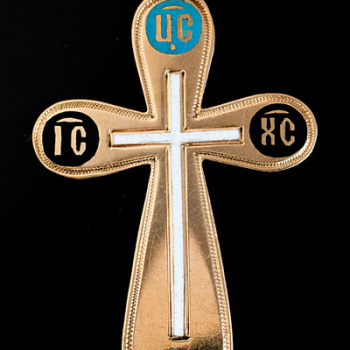 Abbreviation IC – XC at the sides of the cross stands for Jesus Christ. 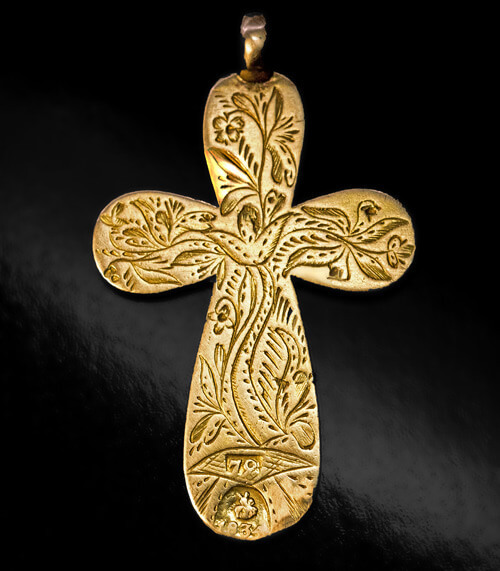 The back of the cross is engraved with stylized foliage. 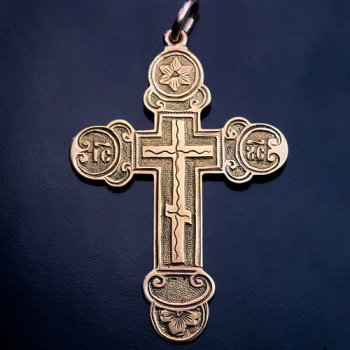 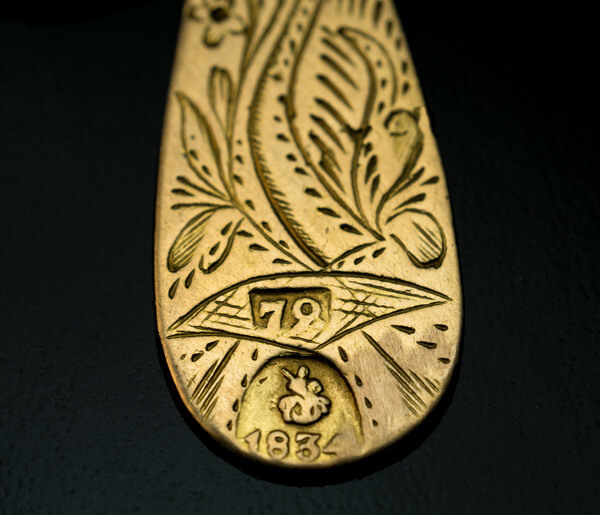 The cross is marked with 72 zolotnik Imperial gold standard (18K), Moscow assay mark (St. George on horseback) and date ‘1834’.